Dxtory for Windows XP - a universal solution designed to record video games and programs based on support for DirectX and OpenGL technologies. The main advantages of the application is the highest capture rate of game content without distorting the sound, even with the standard technical characteristics of a computer or laptop. The software tool allows you to fine-tune the quality of the content of the captured screen and sound tracks, minimizing the load on the processor, video card, operational and physical resources. 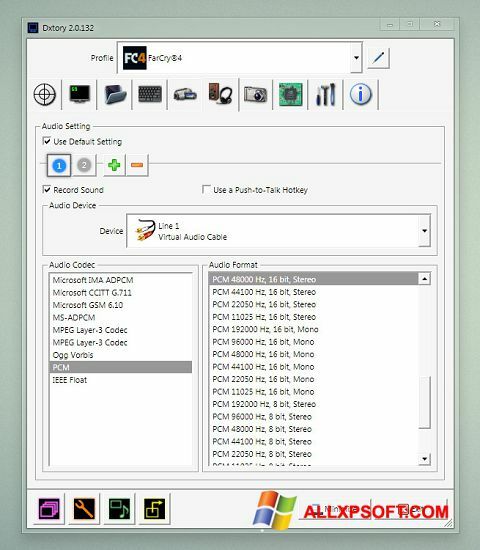 You can free download Dxtory official latest version for Windows XP in English.